Can be used on an adjustable bed. The Bellagio At Home Luxe Elegante Plush Twin Extra Long Plush Hybrid Mattress and Pivot IC Head Up Adjustable Base by Serta from Bullard Furniture. We proudly serve the Fayetteville, NC area. Product availability may vary. Contact us for the most current availability on this product. 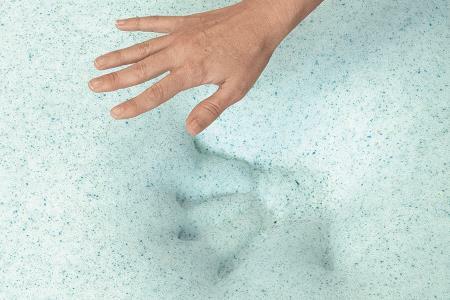 Foam edge helps eliminate roll off and increases your usable sleep surface. The Bellagio At Home Luxe Collection, by Serta, is a collection of Hybrid mattresses designed for Luxury. Serta is the exclusive mattress supplier to the famous Bellagio Hotel and offers the same luxurious mattresses found in this deluxe hotel for you to enjoy at home. Using top quality individually wrapped carbon steel coils, combined with memory foam and gel memory foam, these beds are built to bring you the comfort and quality you would expect in a Bellagio mattress. Spoil yourself tonight. The Bellagio At Home Luxe Elegante Plush collection is a great option if you are looking for Mattresses in the Fayetteville, NC area.